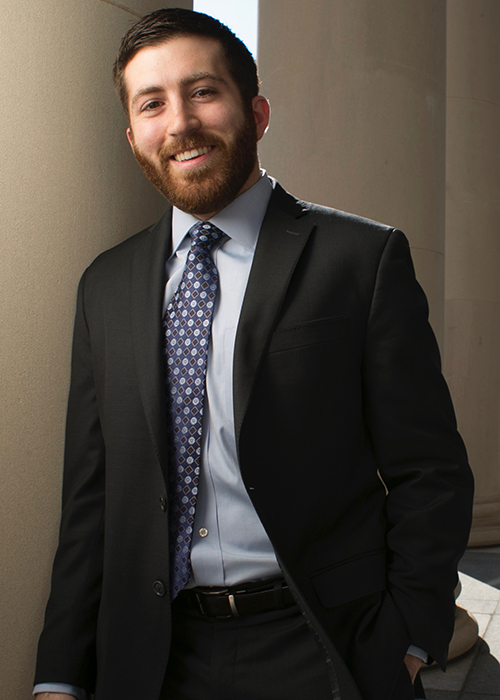 The Virginia State Bar Young Lawyers Conference has named Giovanni Di Maggio the recipient of the 2016 R. Edwin Burnette, Jr. Young Lawyer of the Year Award. The award recognizes a young lawyer who demonstrates dedicated service to the conference, the legal profession, and the community. It is named in honor of Lynchburg Judge R. Edwin Burnette Jr., past president of the Virginia State Bar (1993-94) and the Young Lawyers Conference (19685-86). The award will be presented on June 17, 2016, at the Virginia State Bar Annual Meeting in Virginia Beach. Di Maggio, who graduated from Colgate University in 2008 and Northeastern University School of Law in 2012, co-chairs the Immigrant Outreach Committee. He has significantly contributed to the growth and reach of the committee’s activities over the last three years, earning local and national recognition for the Young Lawyers Conference in the process. Since 2013, he has increased the effectiveness of the committee’s continuing legal education seminars on the Immigration Consequences of Criminal Convictions by recruiting local and national leaders in the immigration community to serve as panelists and to develop practical course materials. He also has promoted the growth of the committee’s Foreign Language Attorney Database, which is designed to assist the public in finding Virginia-licensed attorneys who can speak their language and provide the most effective representation experience. In 2015, he launched the committee’s annual Pro Bono CLE Series, a program that received special recognition from the American Bar Association and aims to narrow the justice gap in Virginia by supporting and increasing immigration pro bono work among Virginia attorneys. Additionally, he and his co-chair launched a Naturalization Clinic program, which connects Virginia attorneys to naturalization clinics hosted by a Virginia-based, non-profit immigrant services provider. In May 2016, this program received a coveted ABA Young Lawyers Division sub-grant award at the YLD Spring Conference in St. Louis, Missouri.